Let’s be honest, music from the 60s marked a heyday for originality and most popular music since has stemmed from the great and the good of that beautiful era of melody-making. So, it should come as no surprise the longevity of old classics from the likes of Led Zeppelin, The Velvet Underground, Sly & The Family Stone, and Fleetwood Mac have taken precedent in the millennial mind over modern music. Scientists working in New York – home to the Chelsea Hotel Bob Dylan’s Subterranean Homesick Blues and the unmade bed where Janice Joplin gave Leonard Cohen ‘head’ – tested a group of young adults on their ability to recognise hit records from different decades. The 643 participants, aged between 18 and 25 – which would technically put them at the younger end of the millennial scale and even into the iGen – maintained a steady memory of top tunes that came out between 1960 and 1999. But the New York University study found when the subjects were asked about songs from the 21st century, their musical knowledge and memory faded like the fortunes of the Red Hot Chilli Peppers, per their 2003 hit. The 1960s to 1990s was a special time in music, reflected by a steady recognition of pieces of that era – even by today’s millennials. Spotify was launched in 2008, well after nearly 90 per cent of the songs we studied were released, which indicates millennials are aware of the music that, in general, preceded their lives and are nonetheless choosing to listen to it. Researchers, who published the study in the journal PLoS One, underscored the popularity of certain songs from the 1960s through the end of the 20th Century but were unable to identify what explained the stable level of recognition. They noted that during that period there was a ‘significantly greater diversity’ of songs reaching the top of the charts compared to 2000 to 2015 and 1940 to 1950. Music lovers and fans of nostalgia, however, might be able to shed light on the trend. The 60s was undoubtedly a time of experimentation and concept albums, sometimes fuelled by psychedelic drugs and political upheaval. Now, the singles charts rule the music industry roost and we have a seemingly endless bank of hits at our fingertips through online services. It’s a far cry from our mum and dad’s experience of waiting for a vinyl album release and playing it on repeat for four weeks or listening out for it on pirate radio. The Beatles operated throughout the decade, before splitting in 1970. Founder of The Beatles Bible, Joe Goodden, told UNILAD their ‘biggest artistic leaps coincided with new chapters in their drug-taking’, from well-documented everyday encounters with cannabis and speed, to lesser known experiences on LSD, cocaine and heroin, as he outlines in his book The Beatles: Riding So High. With the minds of Paul, John, George and Ringo ‘expanded and open to new ideas’ they were ‘poised and primed’ to make Revolver and Sgt Pepper – arguably the most ground-breaking albums of their oeuvre. Bands like The Beatles broke so much new ground it’s hard for modern acts to follow in their footsteps because it’s all musical chewed meat. 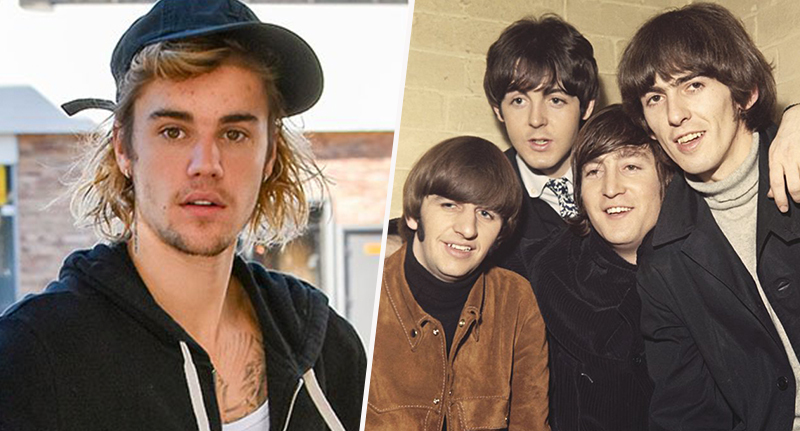 It seems the purveyors of modern pop culture have donned their rose-tinted Lennon-style spectacles and are forever looking back to the glory days of music and creativity. As long as we keep supporting and nurturing new talent deserving of a spot on our Spotify playlists, who can blame us?